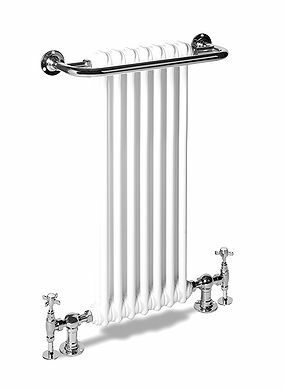 The Barton 1 towel rail is a sleek design that is available in both floor and wall mountings, the Barton 1 is specially designed to give a high heat output and offers additional towel drying space for the larger family home. Choose from a wide range of Barton 1 towel rails which all are available in both different finishes and colours. Valve Pipe Centres600mm / 23.62"
Floor to Centre Tapping85mm / 3.35"